It is crucial to take security seriously in this day and age. One of the most popular and cost effective ways of providing security in the work place is with CCTV cameras and equipment. CCTV cameras can act as a very successful deterrent to thieves and burglars, certainly making them think twice at the very least. 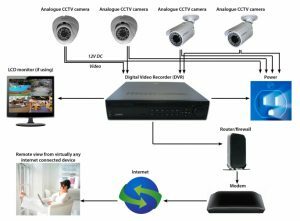 The technology behind security equipment these days is incredibly advanced, and it is even possible to connect CCTV systems and cameras to the internet for remote monitoring and alerts. It is crucial to take security seriously in this day and age. With criminal activity increasing and your business investments at risk it is very important to consider the available CCTV options and choose one that is the best fit for you. 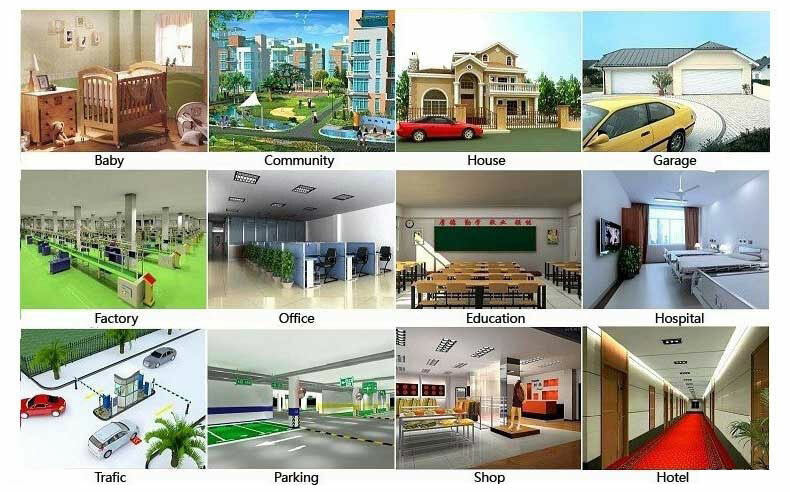 The following are some of the concerns business have and the top reasons to have CCTV installed. If you can’t be at the office all the time but like to know what’s going on, a security camera can help do just that. You can keep an eye on things from your home computer with a few quick clicks of your mouse and make sure your business is running smoothly and nothing out of the ordinary is going on. CCTV can protect your staff physically against violence from customers. At the same time, it can also protect them against false accusations – perhaps coming from colleagues or even from client and customers. Having a CCTV camera inside offices may help in creating discipline among the employees. For employers who want their presence felt so that efficiency at work is optimised a suitably positioned camera will give the same effect. CCTV cameras may be placed in high-risk areas inside a factory. Such areas may include those in which fires can possibly break out. A camera in place there will lessen potential damages because emergency measures can be made immediately. Cameras may also be placed in areas where accidents can happen. This is important so that life-saving measures can be employed promptly but will also encourage safe working practices. Banks and shops equipped with CCTV cameras give the customers a sense of security and safety. The customers feel secure and this enhances the customers’ confidence. If you’re worried about crime, cameras can not only catch criminals in the act, but the very presence of CCTV systems can make a would-be criminal think twice about any wrong-doing. Think about it, if you planned rob or vandalize a store or office, would you want to do it if you knew you were being recorded? If you suspects one of your employees of wrong-doing but don’t know where to begin to try to get to the bottom of things, a camera can be a very helpful tool. This is especially true if you own an establishment where cash is exchanged. CCTV cameras posted near cash registers or other places where employees are often stationed, not only can show you if an employee is stealing, but may even deter an employee from committing a crime if they know you’re watching. If a crime is committed in or around your business and the person accused of committing the crime was caught on camera, you’ve got an extra piece of evidence for a court case. Jurors and judges can watch footage or view photos from your security cameras and establish that the person on trial did indeed commit the crime. Not only will you be preventing the same person from causing you more trouble in the future, you’ll be helping out your entire community. When someone commits a crime and is caught on camera, police and other law enforcement officials can use the footage to release video or photos to the public via various media outlets. Having a picture of the suspect can make a world of difference when it comes to making an arrest and getting a conviction.